Badger Games is pleased to announce that we now stock MoFo Military Miniatures right here in the US! MoFo is a great range of 28mm Miniatures covering British and Argentine Forces for the Falklands War in 1982 and forces for the US involvement in Somalia in 1993. Of course, these figures have many uses and are not limited to that narrow period. Badger is excited to carry these figures as they wonderfully dovetail with our own Mongrel line of Cold War era miniatures. 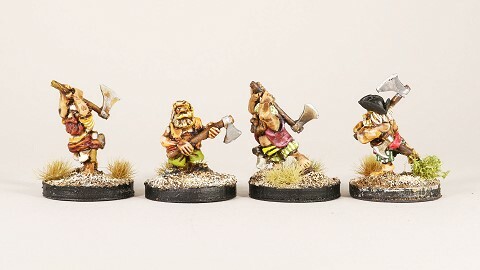 You can find them on the Badger Games website and you will find them right next to our Mongrel line of miniatures at Cold Wars, Little Wars and the other historical CONs we attend. Head to the Badger Games website for a look at the fantastic and complete MoFo Miniatures Range! Badger Games is pleased to announce that we now stock the complete range of Company D Miniatures in the United States. These wonderful, characterful miniatures are sculpted and sold by the very talented Phil Murphy. We have the complete range for the Kansas-Missouri theater of the American Civil War that focuses on the much neglected and very cinematic Guerilla war of raids and counter-raids that characterized it. These are great for the ever-increasing ACW skirmish games and we have a full stock of all codes. These are available on our website now with our ongoing shipping promo and brought to you at the current conversion rate (very attractive for our North American customers). We will also have these fine miniatures at Cold Wars, Little Wars and all of the historical conventions we will attend in 2018. So, it's a beautiful day. The sun is shining. The birds are singing and you decide to head to the park for a picnic lunch. You figure you can handle the little annoyances that the park might offer...hippy drum circles, pretentious bicyclists, nasally soccer moms...none of them can ruin a day like today...except...they're all ZOMBIES!!! 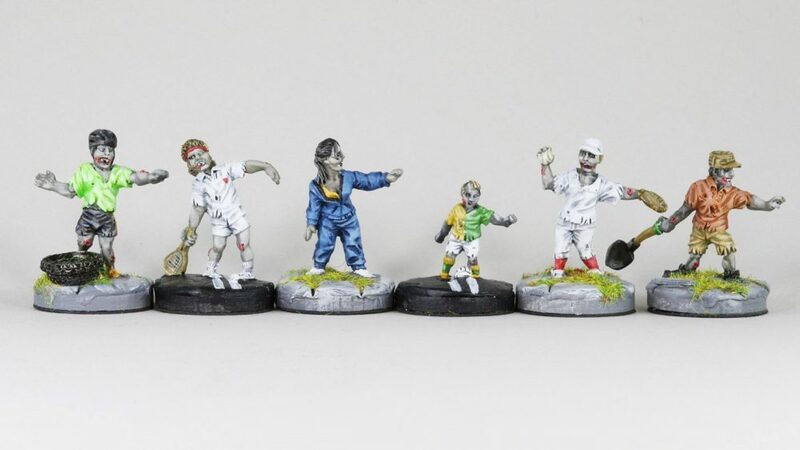 Badger Games is pleased to announce the latest packs in Pontoonier Miniature's 28mm "Not So Distant Future" range...Zombie Day at the Park packs I & II. The packs have everything you'd expect at the park...if the world had ended. 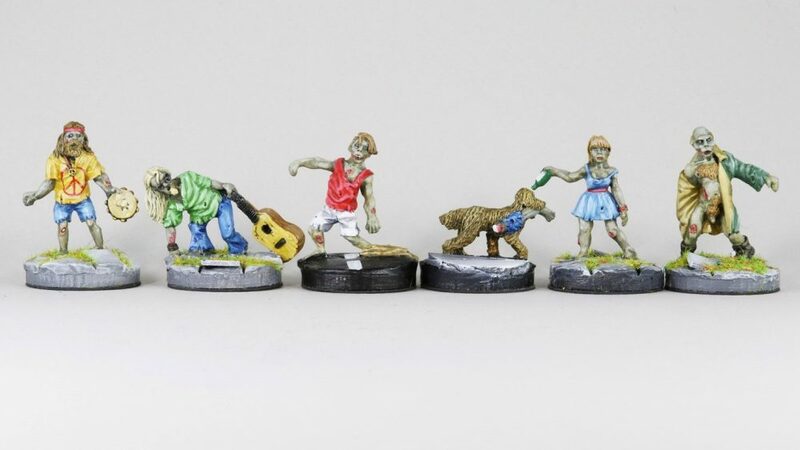 12 fantastic 28mm figures to add to your collection of walking dead. Ants aren't the only thing that will ruin your picnic! While gamers are not known as an overly technological lot (myself included), Badger Games is on Twitter. 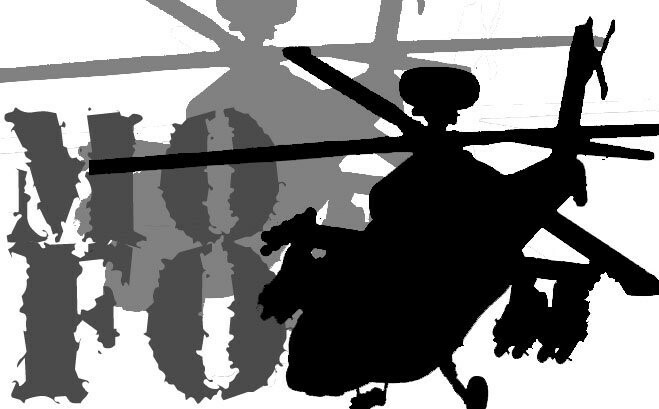 We plan to use Twitter to announce new releases, give shout outs to employees and all the standard Twitter fare. However, we plan to add a new bent to the use of Twitter in gaming. Badger Games attends a lot of CONs...I mean a lot of CONs. We will use Twitter to announce time-sensitive deals and sales at out booth at CONs, give updates on contests and prizes and generally make it a little more interesting. So, come on. Why should a bunch of people you don't care about have all the fun on Twitter?!? 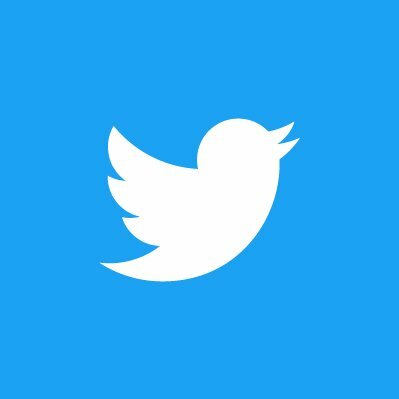 Follow Badger Games on Twitter today! Badger Games – Dwarf Pirates! Terror on the High Seas at Badger Games! Badger Games is pleased to announce the latest 28mm range from Pontoonier Miniatures...Terror on the High Seas. We hope these figures will encourage you to dust off some of your old pirate miniatures or add some new spice to your pirate games! 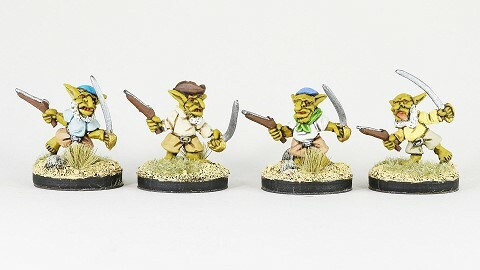 The initial range is for full crews for Goblin or Dwarf Pirates. However, the range will not stop there...no not by a long shot. Coming soon is a full crew of turbaned scimitar wielding rat pirates (a great match for Pontoonier's comprehensive Barbary Pirate range). After that, crews of skeletal pirates, Orc pirates and the fearsome Ogre pirates! Finally, this range will expand in short order with the addition of Pirate-weres (were sharks, etc. ), Sea Hags, drown zombie pirates and much, much more! Watch this space, see our Facebook page or follow us on Twitter for the latest news about this and other ranges!